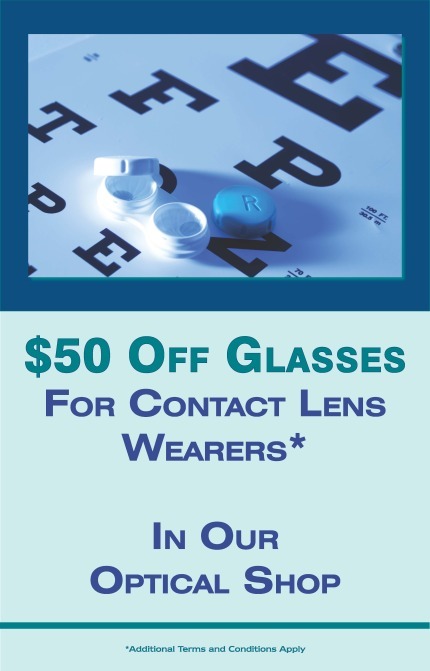 For the month of October, we are offering a BIG discount on a new pair of prescription glasses for our contact lens customers. Get $50 off a complete pair of glasses. The glasses can be single vision, bifocals, tinted...just about anything. Don't miss out on this limited time offer!